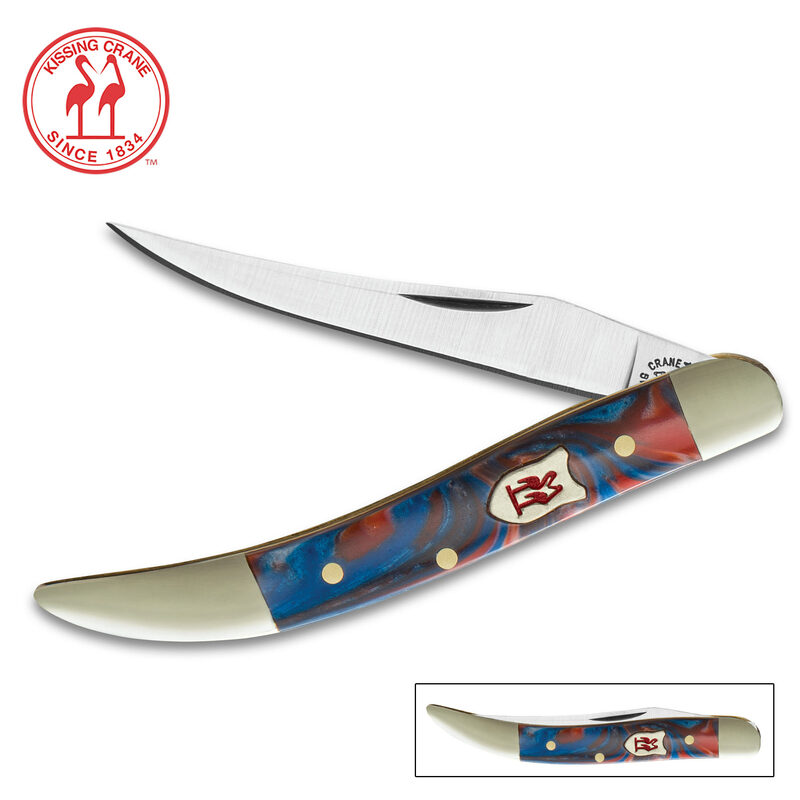 Kissing Crane Cosmic Blue Toothpick Folder / Pocket Knife - 440 Stainless Steel Blade - Blue and Red Swirl Fuzion Polymer Handle Scales - 3" | BUDK.com - Knives & Swords At The Lowest Prices! Kissing Crane Cosmic Blue Toothpick Folder / Pocket Knife - 440 Stainless Steel Blade - Blue and Red Swirl Fuzion Polymer Handle Scales - 3"
Attractive and functional, the Kissing Crane Cosmic Blue Toothpick Pocket Knife features a unique red and blue swirl pattern that is out of this world! 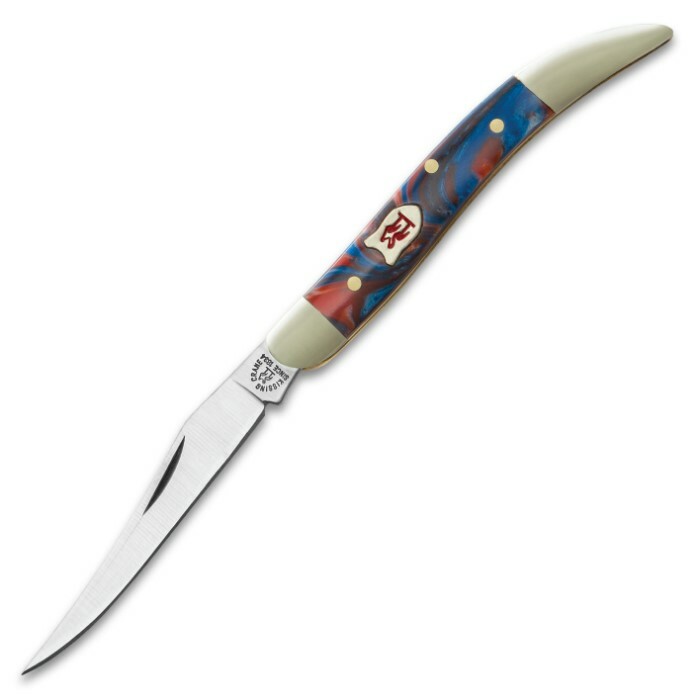 The knife has a razor sharp 440 stainless steel blade that folds neatly into the smooth Fuzion polymer handle. 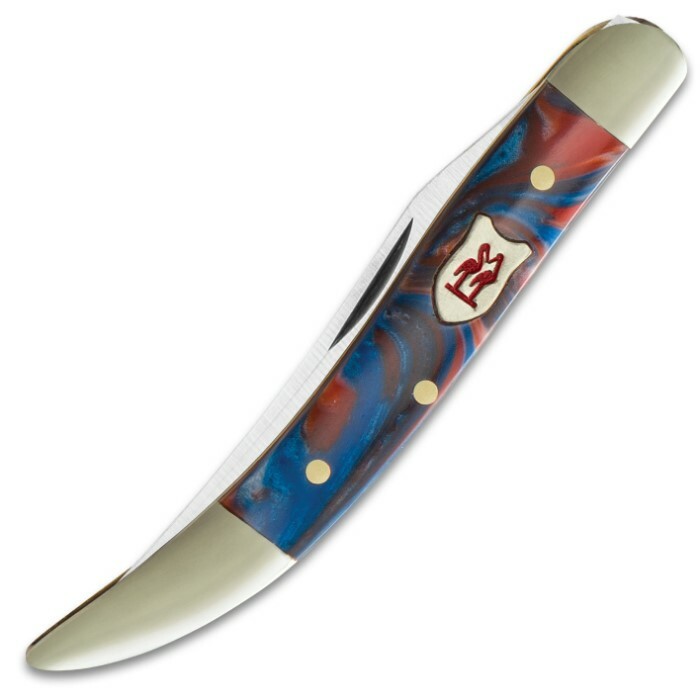 Polished brass bolsters, pins and accents and the classic Kissing Crane cast shield complete this exquisite design.